Nathan & Stana upendo. . Wallpaper and background images in the Nathan Fillion & Stana Katic club tagged: stana katic nathan fillion stanathan. 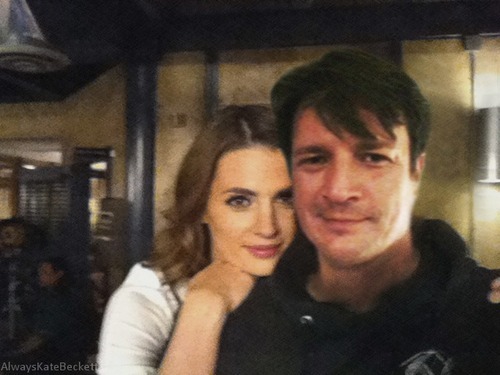 This Nathan Fillion & Stana Katic photo might contain picha, headshot, and closeup. No this is a fake pic! The real one is taken with Christopher Brow...@castlgrip his account..
Well thanks for the info!